One of my passions is to share Nonviolent Communication as a tool for educators and other people working with children. 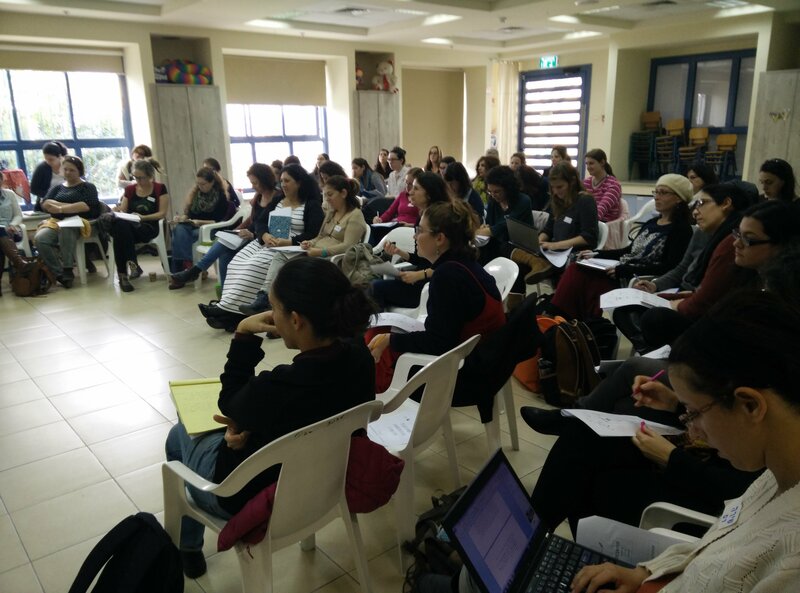 So I was excited when NVC trainer Tammy Avihayil from Haifa, Israel, set up a training for us at the Ha Paot ( early childhood) Center in Tirat Carmel. Tirat Carmel, I learned from Israeli friends, is a town on the Mediterranean in northern Israel, next to Haifa, known for “social problems,” “social services” and violence ( see below for more history). Tammy and I met in Haifa and prepared for the training in the Ava Cafe. 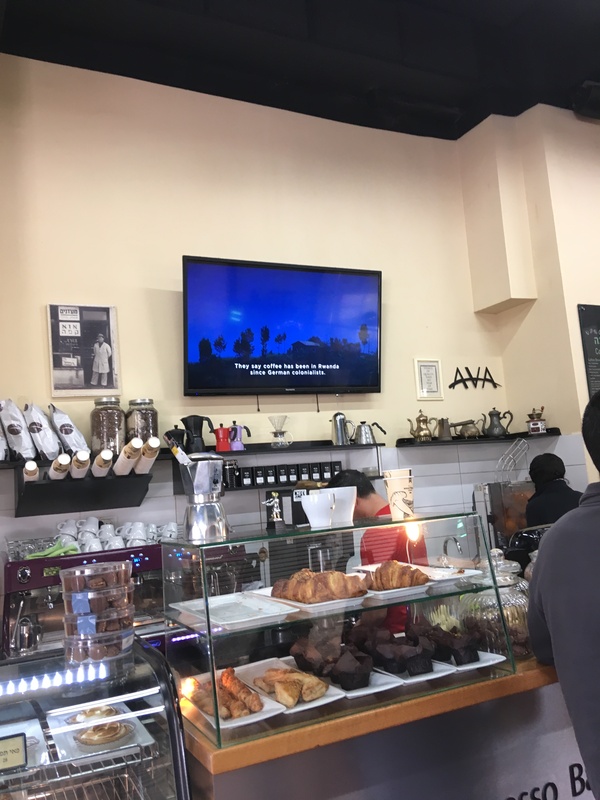 A video playing on the large screen behind the barista counter was about the fair trade Rwandan coffee and coffee growers’ cooperative whose products were served in the cafe. The cafe was filled with the voices of people of many generations speaking Hebrew and Arabic. 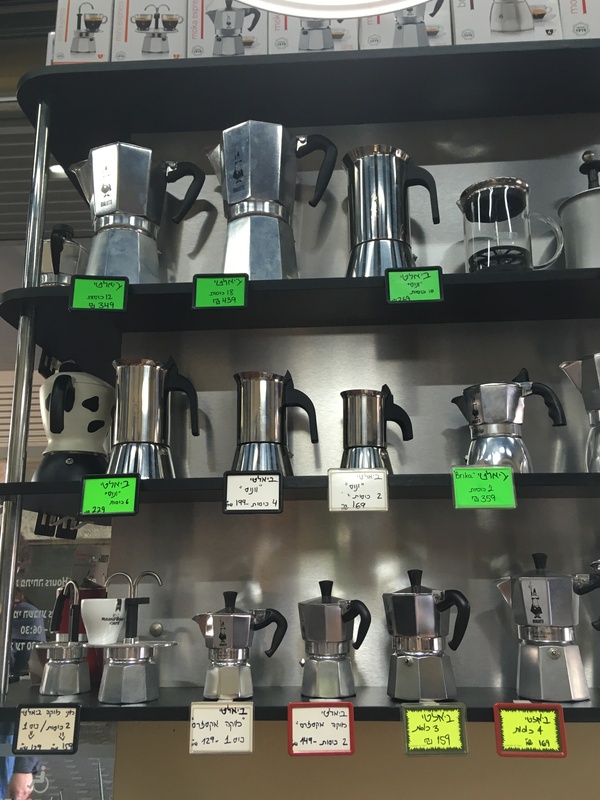 The next morning, Tammy and I headed north from Haifa along the Mediterranean coast to Tirat Carmel. 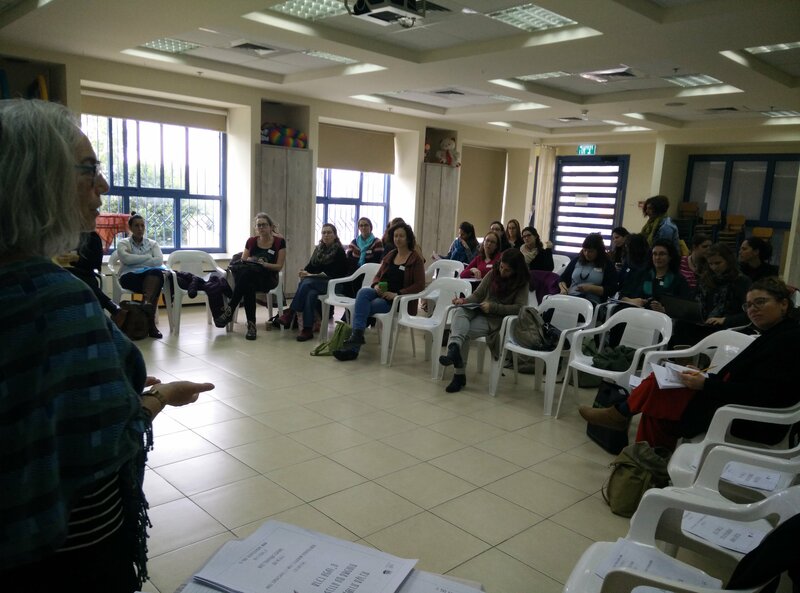 The training had been sold out days earlier and I was excited to present Nonviolent Communication to 50 educators and child therapists who were eager to learn about it. Over the last months, I’d had several conversations over Skype with the Director about topics, and her polling of participants suggested we would focus on communication between the early childhood professionals and the parents of the children with whom they were working. To begin the training, participants paired off and shared about the challenges they were facing with parents. I asked them to select one situation that each could choose to work with for the day. In the whole group, we heard what some of the challenges were. Most-perhaps all- related to frustration and disappointment and anger they were feeling when parents didn’t accept, agree with or open to their suggestions for what the child needed. Hearing the frustration and disappointment was a clue to me that the NVC tools of self connection and self empathy would be healing and centering as well as supportive of learning how to connect with the parents to better serve the children. We worked on making inner space for accepting their frustration and disappointment, and also understanding that these feelings weren’t caused by the parents- the feelings were caused by frustration and disappointment when the gifts they valued in their professions- really helping children thrive- weren’t being received. We continued working in small groups and also modeled dialogues in the whole group to see how the more the childhood professionals take responsibility for staying connected to their own deepest goals and dreams (called Needs in the NVC language charts) , the more creative ways they found to express their concerns and messages to the parents. We explored how taking responsibility for learning methods for self empathy and self connection would help them transform their judgments and hopelessness into creative strategies for making partnerships with the parents. During the lunch break I spoke with an occupational therapist about a situation she was experiencing as particularly difficult with parents. The parents didn’t agree that their child had any problem and the therapist had observed several instances of the child isolating herself in ways that alarmed her. I asked the therapist what is her vision of a system that would be based around these children’s needs. Such a system would include smaller classrooms, where children could receive the individual love and professional attention they needed without the stigma of being “diagnosed” and “sent to therapy”, and without parents needing to spend extra hours driving kids to appointments, as the current system requires for individual therapist services. We realized how much better that revised system would meet the parents’ needs also. We envisioned dialogues between the therapist and the parents where the therapist would hear the parents’ resistance to her suggestions as attempts to meet their own and their child’s needs for ease, acceptance and belonging. She felt hopeful, with greater empowerment and energy, from imagining the possibility of sharing with the parents of a system that was more family and child centered, and to presenting her strategies as interim strategies in the meantime. We used this and other examples in the afternoon to apply NVC to hear the parents’ needs behind any of their actions and words. Not to “agree” or “disagree” or lose the connection to the educators’ and professionals’ visions and dreams- rather to connect with the parents as allies in building a better future for the children, and sharing meaning and purpose between parents and professionals. Another of my passions is to share NVC as a tool for advocacy, empowerment and connection for activists. I had that opportuity the previous evening with the Nehadar Behadar project members in the Hadar neighborhood of Haifa. The project is an effort of the Haifa City Council to encourage “revitalization “ of the neighborhood by subsidizing rent and university tuition for young people to move into the neighborhood to attend university, then stay in the neighborhood, raising young families and participating in civic life. 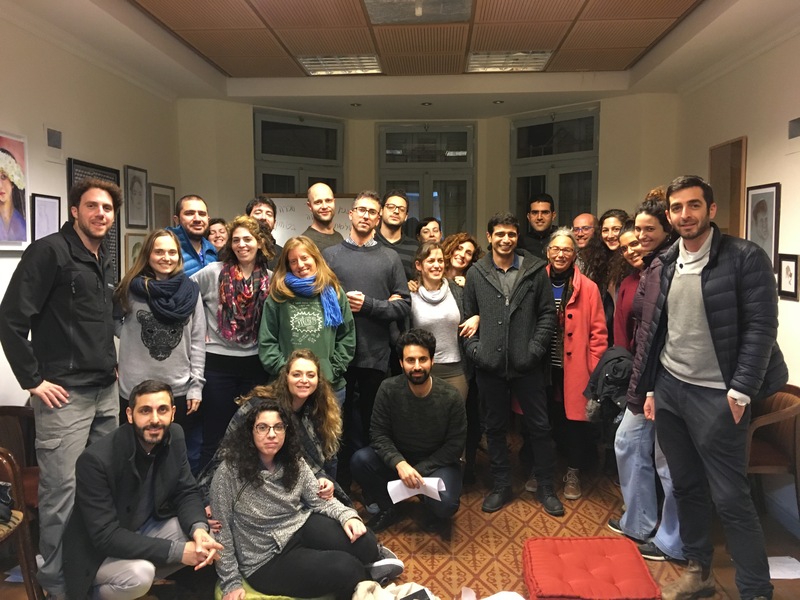 When we entered the building, it was abuzz with university-age people, eating, working on projects and talking (more about this organization and the Hadar neighborhood below). I began the workshop by asking the participants to talk in small groups about the communication challenges they face In relation to their work with the organization and community. After some sharing of situations among the whole group, including passionate conversations about the parking problems, I asked for a sample role play, to see how Nonviolent Communication can support activists connecting with the community. A young man names Mahmoud offered to do a role-play with me. He wanted to work on the dilemma in the neighborhood of residents who don’t want to hear the Moslem call to prayer or the Christian church bells because, he shared later in role, they want “ silence for yoga and meditation. ” We agreed that I would be in the role of an Islamic muezzin, calling my community together to pray four times a day through loudspeakers. For the purpose of testing out Nonviolent Communication, I would put on the ears of a Nonviolent Communication listener. Mahmoud opened up, in role, and protested the disruptively loud nature of the call to prayer. I heard , and reflected back, his yearning for rest and peace. He said, he doesn’t want this. I heard his need for choice. As I reflected back his feelings and needs, he opened up more, and added, besides, these religious practices are primitive. I showed how I would give myself empathy about hearing my valued practices called “primitive,” before I responded to him, and how giving myself that empathy gave me the energy and willingness to reconnect with my initial intention to create a connection with this neighbor. Listening to his needs, and connecting with my own, opened up new possibilities for strategies that could meet everyone’s needs. The strategy we ended up with was to get our families together over coffee and expand the circle of people involved in looking for new strategies. We saw that this issue wasn’t going to be resolved in one conversation; and that both of us needed more connection to the human beings who were affected by the situation. He asked for a strategy in the meantime that could support his serenity. I said how about if I give him the schedule of when we will do our call to prayer so he could schedule his yoga and meditation around that. He expressed gratitude for that and we exchanged emails. Modern Tirat was built on the ruins of the Palestinian town of al-Tira, which was the scene of much fighting and violence during the Israeli War of Independence and subsequent fleeing and expulsion of the Palestinians. New Jewish immigrants from North Africa were settled in the ruins of what had been called St Yohan de Tire by Crusaders in the Middle Ages. It was ruled by the Ottomans in late medieval and Renaissance times and was an agricultural area with wheat and goats and other farms. The Ottoman conscription of residents in the late 1800s harmed the town, it recovered, and by 1945 was an agricultural Muslim community with a Christian minority. The town was known for production of olives and almonds. After Israel was established, through today, the population is almost entirely Jewish, including North African, Ethiopian, South Indian and more recent Russian immigrants. 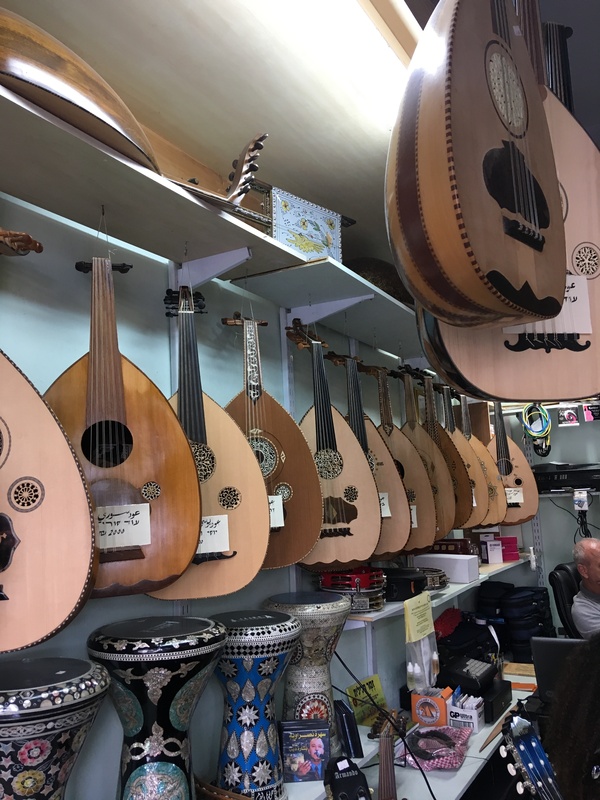 As I wandered through Arabic speaking Haifa last week, I came upon an oud shop where a musician was trying out the newly built ouds by the shopkeeper. 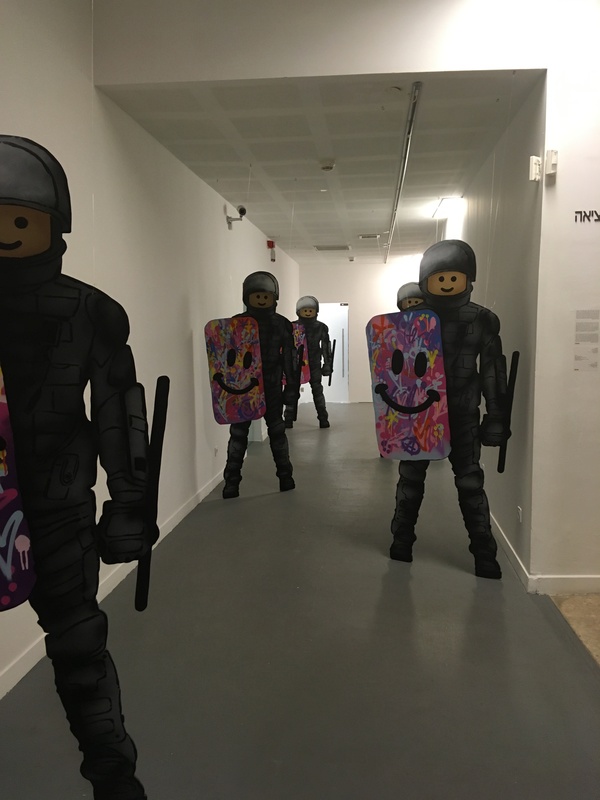 The Haifa Museum featured an exhibit called Dangerous Art that stunned me for its powerful confrontative depiction of Israeli society. 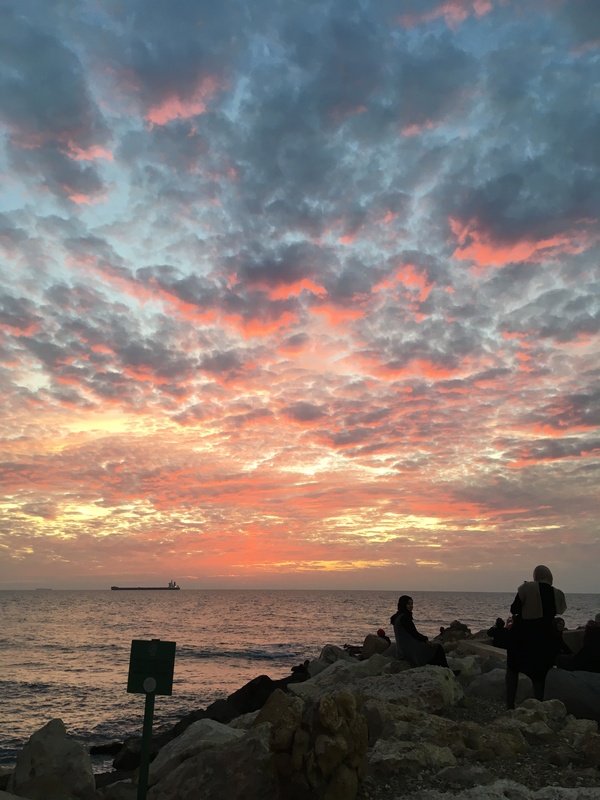 And the multitude of Jewish and Palestinian families enjoying the stunning Mediterranean sunsets. Nehadar Behadar is located in an old house that was donated by an elderly couple that lived there for many decades. 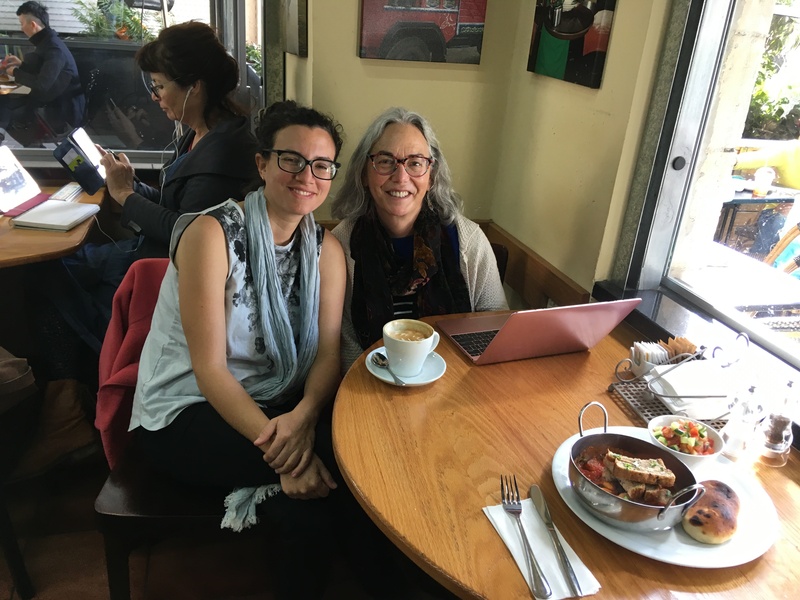 Tammy and I had prepared for the training in a small internet cafe right down the narrow windy street, filled with lively young people , Beatles music blasting, serving homemade soups and salads. We zig zagged between sidewalks blocked by cars parked here and there, angled into small open spaces, and jutting out into streets that were built for wagons and donkeys. Hadar towers over the ancient Mediterranean port of Haifa, hugging a relatively lower edge of Carmel Mountain, like most of the neighborhoods in Haifa. This neighborhood was the city center until about 30 years ago, As more and more neighborhoods were built up the mountain, for the growing population, the “ better “ neighborhoods became the ones higher and higher up. Businesses moved up too, so the businesses that stayed in the lower neighborhoods cater to people with less money to spend. About 10 years ago, the Haifa Council wanted to address the dilemma of young people leaving Haifa and also to revive the Hadar area . So they started a “student village” in Hadar- meaning that students would receive subsidies for rent by moving to the streets that were unpleasant to walk in at night because of absence of streets lights and crime, and flooding from winter rains. This is a neighborhood with few parks and schools, suffering flooding during the winter rains. Hadar neighborhood was built in 1921, above the port, and was originally middle class, mixed Arab and Jewish. As people moved up economically, the neighborhood left behind Hassidic Jews and Arabs. In the 1990’s many Jewish immigrants from the Soviet Union moved in. Today, it is the most crowded neighborhood in Haifa. 36,000 people ( 40% of the Haifa population), 36% from former Soviet Union, 24% Palestinians ( Christians and Moslems), the rest other Jewish Immigrants and people from Haifa and surroundings. The Technion and other prestigious schools were there, and moved to other neighborhoods. I heard-but cannot absorb-that there is only one high school. Such amazing heart opening experiences Robertaâ¦to begin to demonstrate how to open closed doors, listen to our needs so that we can listen to others. Itâs like today when the temperature hit 79 degrees and I opened all the windows to allow stagnant air and energy to be cleared. A sense of the whole atmosphere being revitalized yet knowing itâs dropping 40 degrees by tomorrow and those windows have to be closed but what has changed in the internal environment, both of the house and within me.